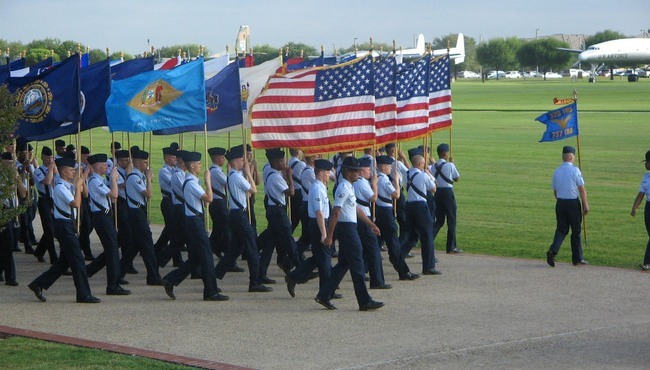 Book the Country Inn & Suites to be near graduation ceremonies at Lackland AFB as you celebrate your friend or relative's successful completion of Basic Military Training. Only one mile from the base, our hotel makes graduation day stress-free with a complimentary, hot breakfast and a short commute. After the ceremony, make your trip even more memorable by visiting attractions like the San Antonio River Walk and SeaWorld. If you need assistance, our knowledgeable staff can share our hotel services and provide you with a full slate of events occurring over the BMT graduation weekend. Be sure to contact Lackland AFB prior to your hotel stay for the most current information on the graduation schedule, including locations and times. We can also provide a comfortable stay at a great price to those attending the Navy Master of Arms Graduation. Ask about our special Navy Graduation rate today.